I have been collecting autographs since i was a little boy, and this is my most precious. If you like autographs, like me, maybe check out the arenas where the band are playing, and send in original photos, with a post paid envelope.... you never know! 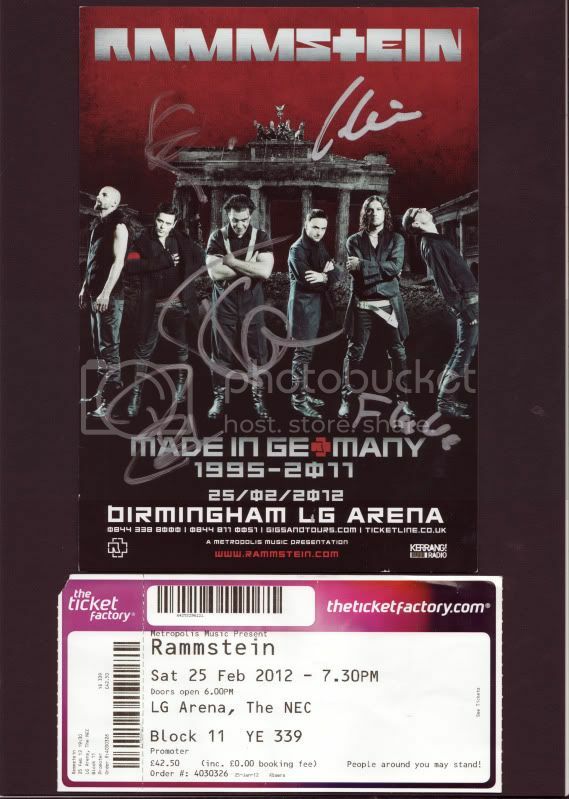 Rammstein have made my year so good twice now this year!!! Thanks, RBF, i am just so excited i wanted to share this, the amount of effort R+ put into their shows, i never, NEVER expected a reply, so a million thanks to them! Well done, and well done to the band too. ^Whoa, I envy you, great story. They are great human beings. All times are GMT+1. This page was generated at 12:15 AM.